Diffusion is the process of movement of molecules or atoms from a region of high concentration to a region of low concentration. I've applied an artistic approach to conveying this process, where the inky areas of the painting flow through my abstract biomorphic matrix into other areas that resemble cells. 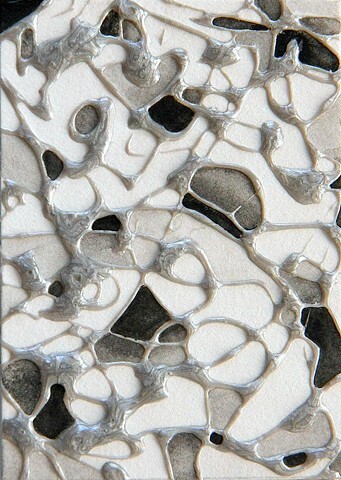 This is the first piece of a miniature-sized series of four paintings.